We are delighted to start 2018 by welcoming a new client to RedTree PR, the Derbyshire based M2C2 Group who join us following a referral from a longstanding RedTree client. As fellow business owners will understand, knowing that your clients are happy to recommend you is always gratifying! The M2C2 Group are owners of several historic, iconic British brands which include Peter England U.K. and Rocola and also the high profile quintessentially English Viyella and Tootal labels. Viyella was a power house of the British textile industry and has had a presence in Derbyshire since 1782. At its peak, the company was renowned the world over for the quality of its Viyella cloth, spun from what at the time seemed to be incompatible fibres of merino wool and long staple cotton and by 1903 to ensure the cloth was used to produce the finest quality clothing, the company had moved into the garment industry. This classic film of the company ‘Viyella a Standard of Excellence’ is a real time piece and tells the story of the firm. 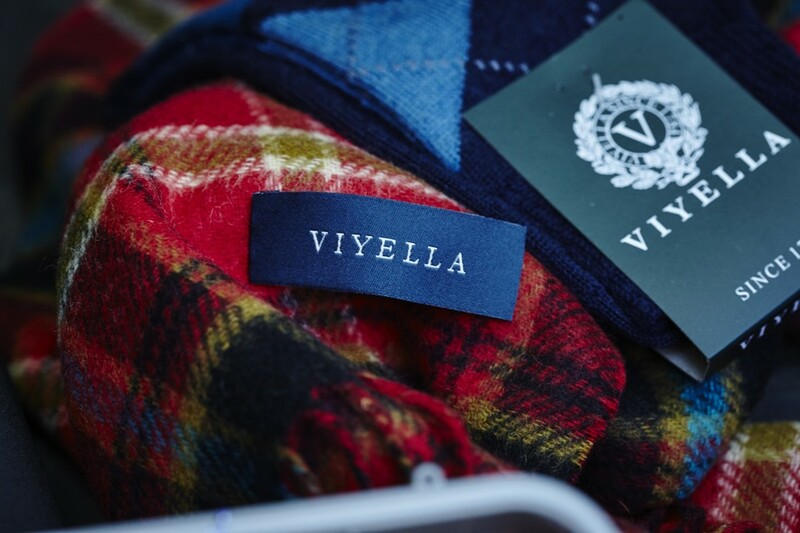 Although Viyella shops have disappeared from the High Street, following a management buyout the brand is still alive and kicking and now director Steve McConnell has returned to the business to help ensure the next 100 years of history for the brand are successful. Steve is the third generation of his family to work for Viyella! We’ve started by telling the story of M2C2 and its brands close to home in its Derbyshire heartland, securing a feature for the company in Derbyshire Life which will be published in March. Interestingly, for a PR firm, in researching the Viyella brand we learned that they were one of the first companies to realise the potential of advertising. In 1912 the sum of £8000 was invested in the world-wide promotion of the brand, the equivalent today of around £640,000. We are also working to promote Tootal and its ‘Made in England’ silk scarves. Strictly a limited edition, these scarves are hand made in Macclesfield, Britain’s home of the silk industry for 300 years, and are destined to become a collectors’ item of the future! I look forward to keeping you updated on our work with M2C2 Group.